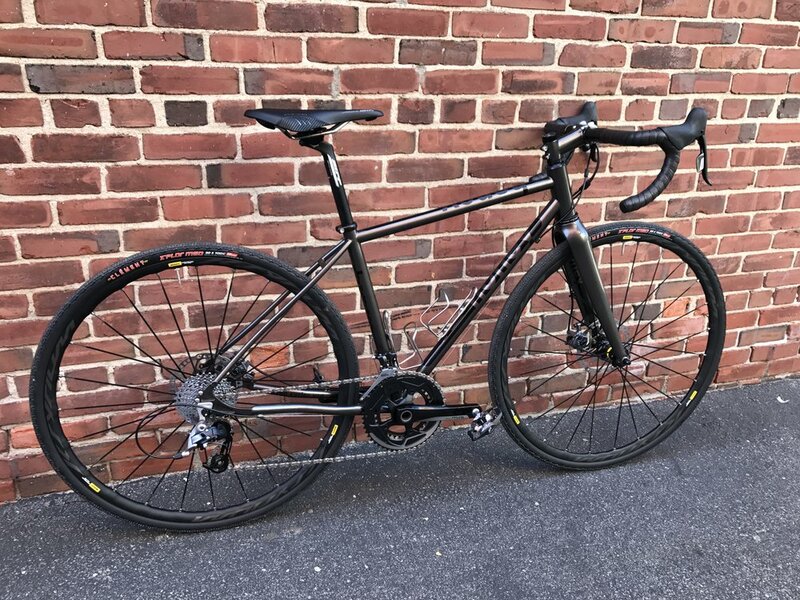 Road bikes, road disc bikes, gravel & mixed terrain bikes, mountain bikes, fat bikes, cross bikes, tandem bikes, single-speed bikes, commuter bikes, travel bikes, Rohloff belt-drive bikes, randonneur bikes, road race bikes. We do all of these and more, but what's important is YOU. What kind of riding do you want to do on your new bike? We are interested in the riding you want to do. Tell us what you want to do on your bike, what kinds of terrain or roads you want to ride, and we'll collaborate together to help you get on the best bike for your riding interests that includes the features, functionality, components, and aesthetic that you love. You should not have to make compromises in order to have a bike that has the performance you desire, comfort of fit, contact points that you enjoy, and colors and design details that you find pleasing to look at. We have the energy and desire to see you ride the bike that you're asking for. Many shops are uninterested in spec'ing out a build that involves lesser known parts, hand-built wheels, or an unusual combination of crankset and cassette because of the time and questions of compatibility. We've been delivering interesting, high-performing, very well-thought-out bikes for over 7 years. We collaborate with our suppliers, and lean on their many years of experience, as well. We aren't interested in pulling a bike out of a box; we know the best way for you to have the most enjoyable ride is to think through every aspect of your riding and your preferences with you. You don't need to have knowledge of components or gearing or be an experienced cyclist. We work with you to discover what is right for you. You know what you like and what you want - this is all we need from you! If you have a budget in mind, we also work to keep the bike within it. We work very closely in partnership with Seven Cycles and Honey Bikes. Each of these companies allows us the largest selection of options on the market where it comes to offering you the very best framesets. Where it comes to design, quality, ride qualities, frame features, sizes, and kinds of riding, both Seven and Honey have offerings that are astounding in their design details, and options offered. We work with only best-in-class bicycles. We’ve carefully selected the brands with which we work. We include Seven Cycles and Honey Bikes. We work with these businesses because they share similar customer-centric philosophies. Seven Cycles: One Bike. Yours. The best bikes—custom or otherwise—on the planet. Designed and built in less than 5-weeks! 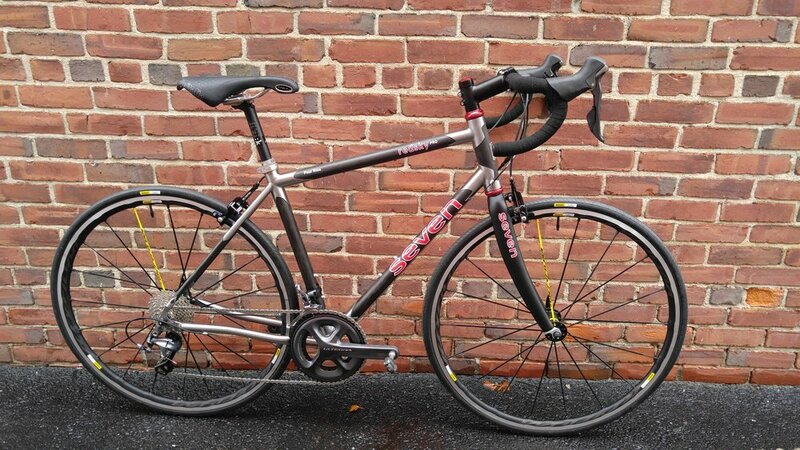 Complete bikes start at $4,500. Learn more about Seven Cycles. The best hand built specialty bikes available. 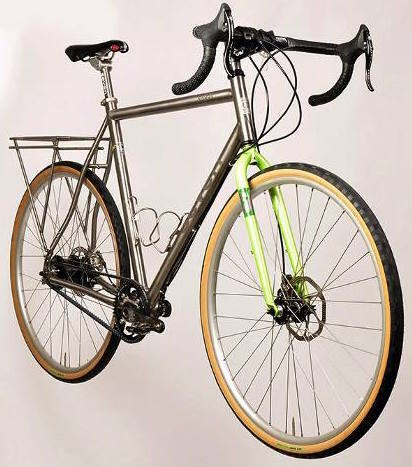 Most Honey Bikes are light-weight steel, however Honey now offers a titanium Allroads and titanium plus-size mountain bike. Complete Honey Bikes start at $3,000. Learn more on the Honey Bikes website.